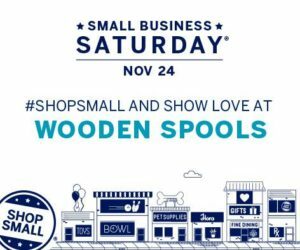 Small Business Saturday – HUGE SALE! Everything in store is 15% off! All $2.99 sale fabric is 30% OFF! All yarn in the sale corner is 30% off of the already marked down prices! There’s lots more….just click the link above to read all about it – and we’ll see you this Weekend! ← X is for Xtra Special Savings!